Highlights of the Sky Bet Championship match between Burton Albion and Barnsley. On-loan Everton midfielder Joe Williams scored a stunning 30-yard effort to help Barnsley seal all three points with an entertaining 4-2 win over struggling Burton at the Pirelli Stadium. The England Under-20 international will probably struggle to score a more spectacular goal for as long as he plays the game after booming in a left-footed shot from long range. The Brewers and the Tykes traded four goals in the first half as Lloyd Isgrove and Brad Potts twice put Paul Heckingbottom's side ahead only for Matty Lund and Lloyd Dyer to square it up again before the break. Games between the two sides have traditionally been tight affairs with both previous encounters at the Pirelli finishing goalless but this was never likely to end scoreless in a fast, flowing and open game. 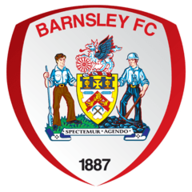 Barnsley made the breakthrough after 21 minutes when Isgrove showed electrifying pace to surge into the box after exchanging passes with Leicester loanee Harvey Barnes and fire in a ferocious shot that beat the outstretched hand of Connor Ripley into the roof of the net. 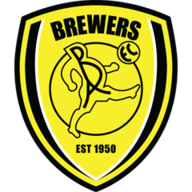 It was the visitors' first real attack in what was a test for the fragile confidence of Nigel Clough's struggling Brewers. Albion found a response after a period of pressure with 37 minutes on the clock. Lund had already gone close with a volleyed effort from a Jake Buxton cross when the same pair combined again shortly afterwards, Lund this time powered home a header at the back post for his first Championship goal in Burton colours. The sides were only level for three minutes as Barnsley got themselves back in front five minutes before the break. A nasty looking collision on halfway between Albion defenders Ben Turner and Kyle McFadzean allowed Chelsea loanee Ike Ugbo to race into the penalty area. His angled shot was saved by Ripley but the ball came back out to Potts who drove home. Burton scored the equaliser on the stroke of half-time. Dyer looked to have a lot to do when he picked up a pass from Sean Scannell wide out on the right but, darting into the box, he found a gap at Adam Davies' near post and slotted home. Albion also enjoyed the better of the opening stages of the second half as on-loan Leeds midfielder Luke Murphy saw a 25-yard effort blocked on the edge of the box and McFadzean, fully recovered from his clash with Turner, was denied from a Lund corner by Davies tipping his header over the crossbar. Clough's men had looked the more likely to grab the next goal until Williams' thunderbolt and when Barnes fired home late on it put the gloss on a good night for the Tykes. Nigel Clough: "We've had two games and it should be six points, but it's none. It is very, very harsh on the efforts and the performances that we have got no points. It is very difficult to take. Their lad scores a goal like he will never score in his career again and that is the difference between the two teams. "Having got back into it, 2-2 at half time, we were on top and all the way in the second half right up until the third goal. We feel like we don't deserve to lose at the moment but we are. They are getting punished by every little bit of quality or for every little mistake but hopefully that will change. Nothing is decided in October. We are not even into November yet." Paul Heckingbottom: "No one has come away from here with a win without earning it this season. Burton make you earn everything and we knew it would be that way. I was disappointed with the two goals that we conceded. We didn't track runners. Burton make you fight so hard, putting balls into your box. For us to not track runners twice made it really difficult for ourselves.